Bicycles are all the rage these days, but look closely and there's a hidden cost to this supposedly low-impact way of getting around. A study by UC San Francisco finds medical costs from non-fatal bike accidents are climbing steeply, by nearly $790 million annually. Whereas bicycle accidents used to mostly involve kids falling off their bikes, they now include a lot of adults colliding with cars, producing much more serious injuries, said lead author Thomas W. Gaither, a UCSF medical student. 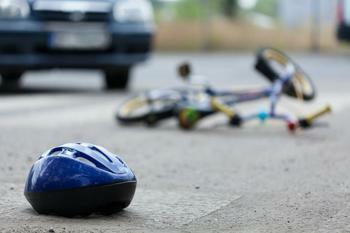 "In the past, many bicycle accidents stemmed from non-street incidents. But now, street crashes with motor vehicles represent a greater proportion of the total costs," Gaither said. "These crashes, which primarily occur with motor vehicles, increase the velocity of the crash impact and, as a result, the severity of the injury." In 2013 alone, total costs from bicycle accidents exceeded $24.4 billion, the researchers reported. That is approximately double the medical and other various costs involved for all occupational illnesses over the same time period. Cycling has many well-documented health benefits, including improved cardiovascular function and decreased all-cause mortality. But along with the positive effects of riding, there are risks due to serious and sometimes life-threatening injuries, many involving accidents to riders 45 and older. In 2013, nearly 54 percent of the total costs of bicycle accidents were due to riders 45 and older, up from 26 percent in 1997, the researchers reported. Along with the fact that older adults are biking more and being more severely hurt, the rising severity of injuries may be due to changes in motor vehicle traffic, more commuting by bicycle, and changes in vehicle design, reported the researchers. Previous research by the investigative team has shown that over the last 15 years in the U.S., the incidence of hospital admissions due to bike crashes increased by 120 percent. The investigators calculated costs from a variety of factors, including hospital charges, readmissions, rehabilitation, nursing home stays, emergency transport, visits to the emergency department, days lost, cost of lost work, lifetime productivity lost, and lost quality of life. Many of the injuries could be prevented with safer roads, the researchers said.